I have few adversaries when I ride, in fact there are only three: the clock, hills and the weather. 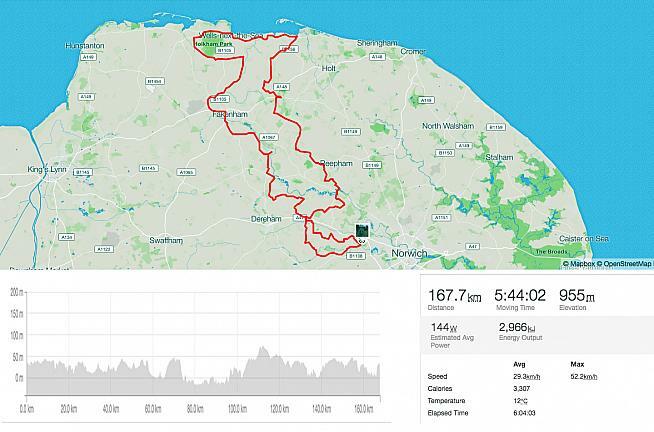 There are no timing chips on the Tour de Norfolk, and the county is not renowned for its mountains, so a day off from battling the dual forces of time and gravity. This left Mother Nature... and she was in a foul mood today! I awoke shortly after 5am and started to think about the day ahead. I'd hardly been on my bike post Pyrenees, just the daily commute and a handful of short spins. I was scarcely prepared. But this was the flat lands of Norfolk... how hard could it be? Prior to travelling up from Sussex, I made my usual irrational decision of style over substance by pairing my largely white summer kit with short-fingered gloves and a packable showerproof jacket. A tad inappropriate if yesterday's heavy rainfall was to be repeated. It was still dark outside as I contemplated the seven mile commute to the event HQ and questions started to race through my mind. Had the roads cleared after yesterday's downpours? Would it warm up when the sun started to rise? And, more importantly, would the rain hold off? I braced myself, tentatively opened the front door and got some immediate answers to my questions. The early morning chill reminded me of my poor clothing choice as goose bumps began to appear on my exposed skin. I lifted my bike over my shoulder and straddled the various puddles that lay outside my holiday home. The road conditions weren't any better as I was forced to take every bend cautiously to avoid the pools of water and accumulated debris. A large puddle doing a remarkably good impression of a ford dared me... "So, white shoes... are you sure you want to come this way?" I took the dare; my shoes dipped in and came out soaked. As today's venue, the Norfolk Showground edged ever closer, I began to encounter some of the early starters approaching on the other side of the road. Winter jackets, full finger gloves, tights and overshoes whizzed passed me in the opposite direction as if to mock my choice of clothing. I was tempted to turn around and join them, but in the interest of completeness I was compelled to cross the official start line. I arrived shivering with the added delight of soggy socks and squelchy shoes, "Oh well," I thought to myself, "only 100 miles to go!" 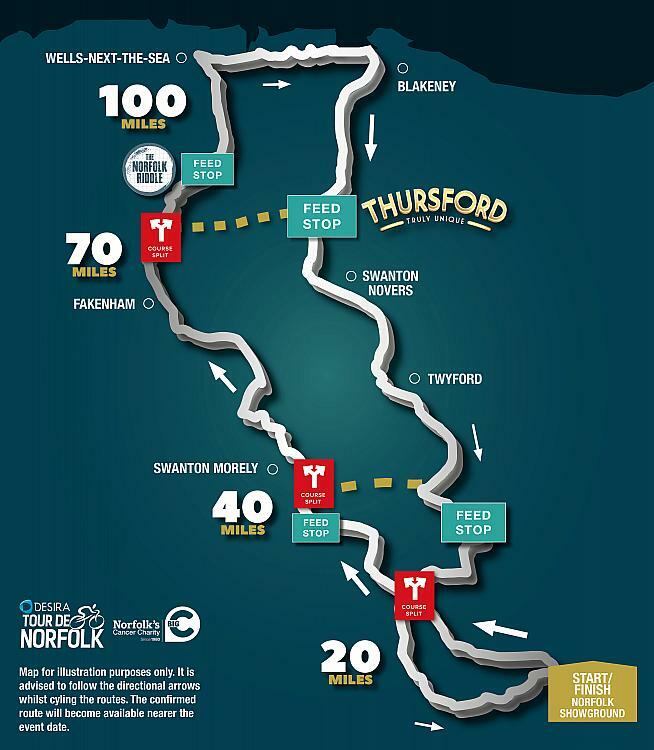 Route map for the Tour de Norfolk. It was still cold for the first hour or so, I was finding it difficult to warm up. I couldn't get any momentum as these largely single-track roads were in a terrible state. Loose gravel and stones loitered on every corner, with long stretches of murky puddles lurking in between. There seemed to be more riders on the roadside tending to punctures than actually riding. I was grateful for my Continental Grand Prix 4000s which held firm and kept me going. 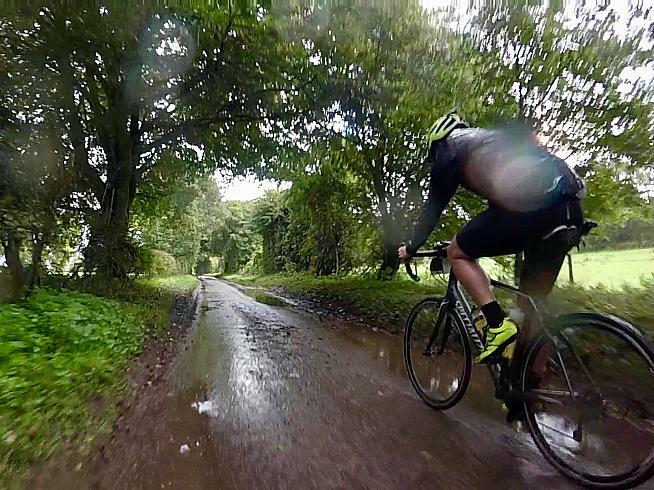 At one point there was a stretch of rim-deep slushy mud, more akin to a trail ride than a tarmac-based sportive. I would have been more at home with my mountain bike than my carbon fibre performance machine. A real mud-fest! Why did I wear white? And, yellow socks? At least it wasn't raining. Some two hours into the ride with temperatures on the rise I was finally starting to warm up. It was time to slip my jacket off and stuff it in my pocket. "I won't be needing that again," I told myself. Unbeknown to me, Mother Nature was up to her old tricks, this was just a ploy to mess with my mind. I turned the corner and the heavens opened. I pulled over, grabbed my jacket from where It had just been stuffed and hastily hauled it back on. 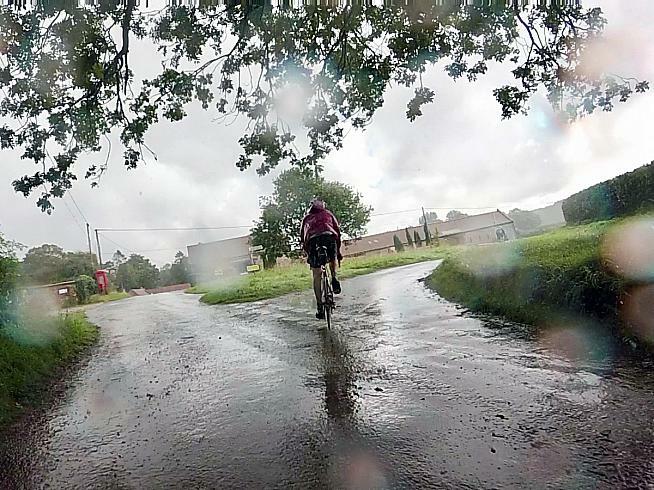 The sanctuary of a feed station was offered up, but I bravely ploughed on, only to regret this decision just a few pedal strokes down the road as the downpour become torrential. When the going gets tough, the tough get going... or in my case, it's time to select a tune from my virtual jukebox. 'Rain' by The Cult is first up, as I repeatedly sang the line "I love the rain" in a psychological attempt to cope with the torrential downpour. My audacity however, incurred my adversary's wrath as she persisted with the unrelenting deluge. By now, I'm doing a good impression of a drowned rat, visibility is poor and the roads are like mini-streams. I'm starting to crack as Mother Nature has the edge in this psychological battle. Thoughts start to race through my mind... should I go back and shelter in that feed station? Should I abandon? Or... how about another tune from my virtual jukebox? 'Staring at the Rude Boys' by The Ruts is up next as I bark out "Never surrender" to gain the upper hand in this epic encounter. This sees me through to the ten mile stretch along the county's northern coast where the rain has eased to a drizzle and a semblance of warmth returns to my body. 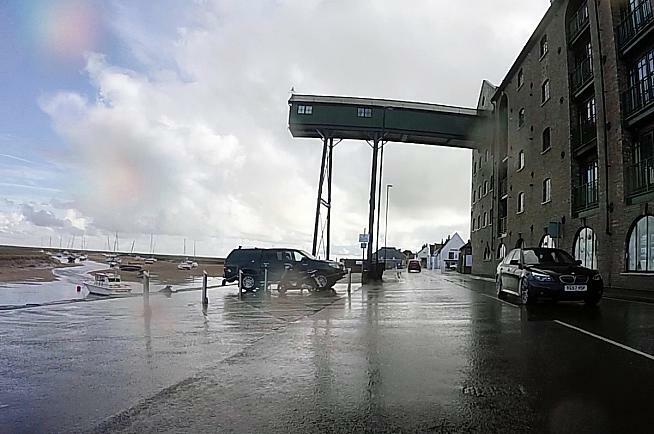 I say coast: the route follows the coast line, but only a brief glimpse of the sea is visible as the port of Wells-next-the-Sea comes and goes all too quickly. Wells-next-the-Sea offers a glimpse of the coast. As the route turned away from the coast and headed southwards, it occurred to me that my nemesis must have been on her lunch break as dry weather had broken out in her absence. Heading back to the showground, the only feed station I'd planned to stop at was the Thursford Collection, more out of curiosity than need. 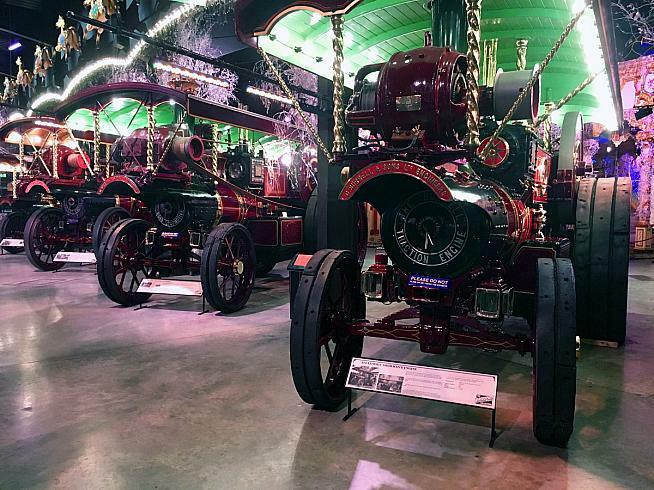 I was drawn in by the lure of various steam engines, mechanical organs and fairground rides. It seemed a bit unbelievable that this was a feed station... I just had to check it out. The Thursford Collection is an unusually diverting location for a feed stop. It was like stepping into a different world, away from the elements and into the warm environment of this historic collection. 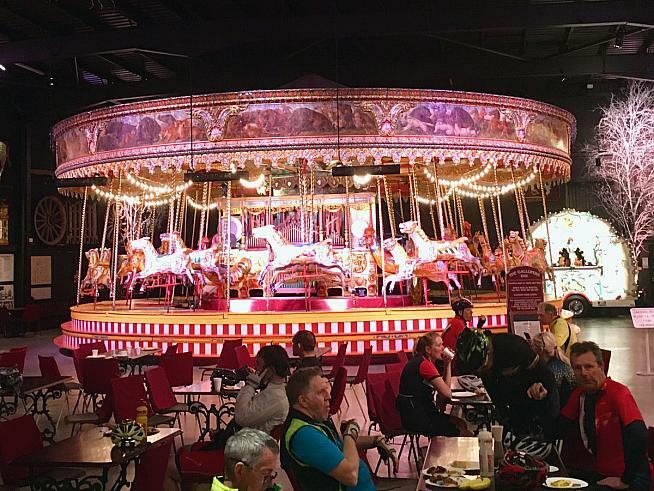 Like a kid at a fairground, I was dazzled by the bright lights of the carousel with its gallopers three-abreast, the shiny traction engines neatly lined up and the magnificent mighty Wurlitzer. I completely forgot that I was on a hundred mile sportive... a bizarre distraction. 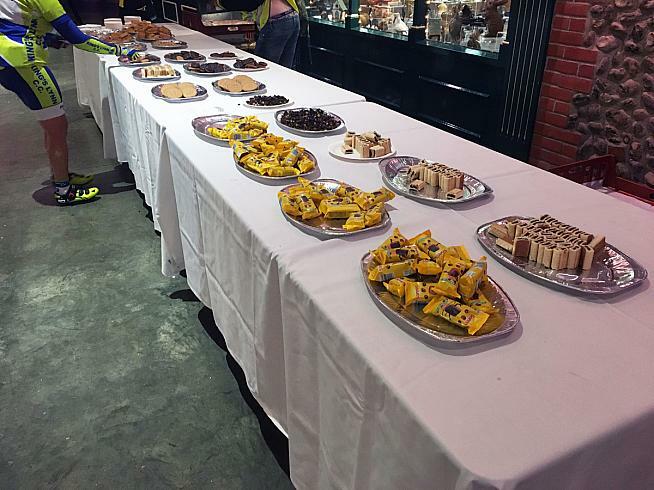 Prior to turning my attentions back to the job in hand, I was further distracted by two long tables of food: bananas, fig rolls, malt loaf, flapjack, salted peanuts, chocolate peanuts, jelly babies... "Hang on, jelly babies!" I couldn't resist, a handful went straight down the hatch and a second handful went in my pocket. "Now let's get back on the bike... I've still got a couple of hours to go!" I declared. The effect of the jelly babies was short lived as I was starting to fade. The effort of riding solo in difficult conditions for 75 miles was taking its toll; I needed a saviour. As if by magic a rider appeared over my right shoulder. It caught me out at first, I wasn't expecting this. Before I could latch onto his wheel another rider passed me and then another. I looked over my shoulder... it was a local club forming a train of determined riders: my saviours! I slowed to let them overtake, latched onto the last rider and got some well-earned rest. After several miles of recovery, I felt it was time to move up the group and take my turn at the front. Firstly though, it was time to take my magic potion... the caffeine gel I always save for the last hour of a long ride. Suitably refreshed and re-energised I gradually moved up the chain, placed myself at the front and started to repay the favour. After a short stint at the front, I sensed I was dropping riders. I slowed to let them catch up, sped up and dropped them all over again. Before I could consider my dilemma, I remembered that I'd promised my wife I'd be back by 1:30pm... Decision made: push on! By now the sun was shining and the roads were drying. I had defeated my earlier opponent, only for Father Time to step into the breach as I ended up battling the clock after all. I had the bit between my teeth now, and with dry roads I was able to throw my bike into the corners, hold back on the brakes and power through the straights. I was encountering a number of riders now, many of whom were completing one of the three shorter routes, inadvertently aiding and abetting my progress. One rider, sensing my haste, latched onto my wheel for a free ride. Ordinarily I would have beckoned him to take a turn on the front, but I couldn't risk the pace dropping. The first rise in the road however, and he was gone. The pace continued until, out of character with the rest of the course, gravity made a fleeting appearance. In collusion with the event organisers he imposed himself on the short stretch of Brawburgh Road, momentarily raising the gradient to 10% in an attempt to catch everyone out. But it was too little too late: the entrance to the showground appeared, a few twists and turns were negotiated and a last glorious lunge under the finishing banner... it was all over... my 1:30pm promise kept and my foes defeated. "Phew... that was a lot harder than I imagined," I exclaimed. 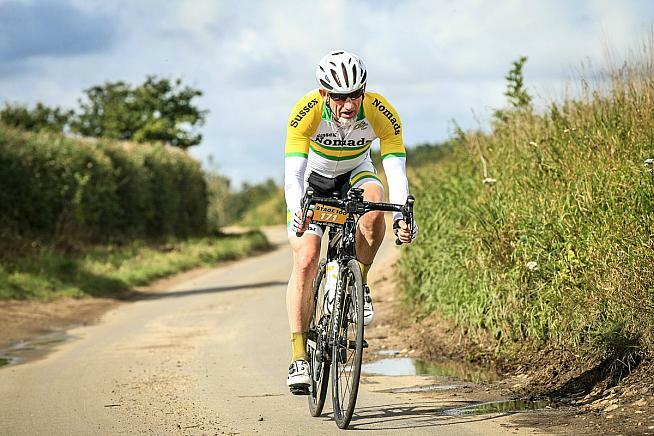 Which just goes to show, there is no such thing as an easy century! 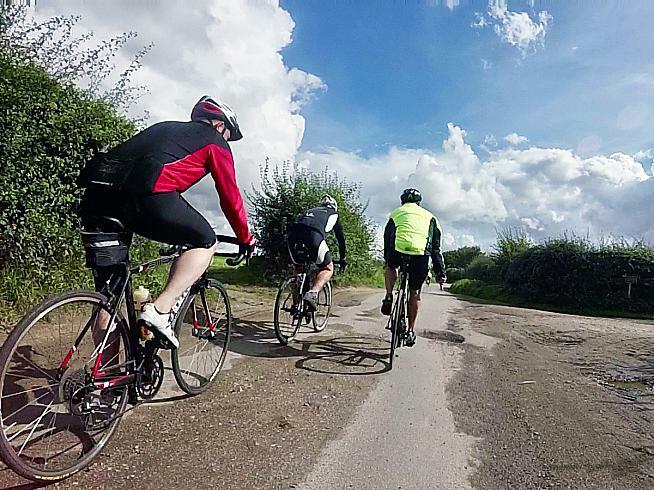 It's not the hilliest sportive but...there's no such thing as an easy century! The Tour de Norfolk returns in September 2018. For more information visit www.tourdenorfolk.co.uk.